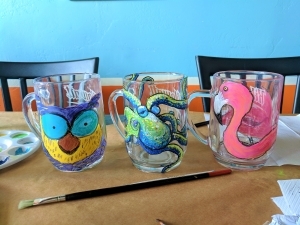 Join us at Kilowatt Ocean Beach for a mug painting class with local artist, Rachel Redmond. $25 - Painting Class: Includes mug, painting instruction, painting supplies, a full pour to enjoy while you paint, and of course your finished 20 ounce mug. 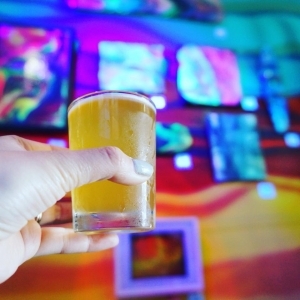 $45 - Mug Club Combo: Includes mug, painting instruction, painting supplies, a full pour to enjoy while you paint, your finished mug, & a 1 Year Membership to Kilowatt's Mug Club. 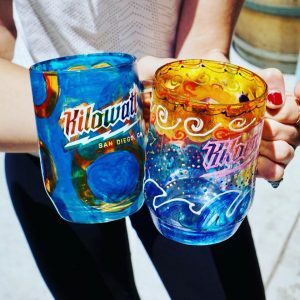 You have the option to keep your painted mug displayed at Kilowatt to enjoy anytime you visit. $18 - Painting Class for Kids (Same as Painting Class, but no full pour). Additional beer during the class is available for purchase. Kilowatt Mug Club: You receive unlimited 20 oz. pours on all regular 16 oz. pint pour purchases for the entire year. Every time you visit either of our locations, you’ll get a 20 oz. pour for the price of a regular 16 oz. pint. If you create your mug at one of our mug club classes, we’ll put your mug on display at whichever tasting room you choose and every time you visit, we’ll pour your beer in your own mug! If you don’t choose to design your own mug, not to worry, you’ll still get a 20 oz. at either locations. Mug Club Membership is $20 per year. Enjoy a pint and exercise your mind at the same time! 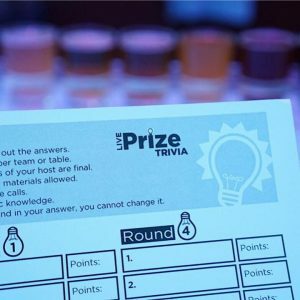 Kilowatt is hosting Trivia Night every Wednesday. Both 1st and 2nd places get prizes. It's free to play and fun for new and seasoned trivia players alike! Join Kilowatt Brewing for our 4th Anniversary Weekend at our Brewery and Kearny Mesa Tasting Room. Enjoy the release of 4 different variations of our Great American Beer Festival Award Winning Chocolate Macadamia Stout. Enjoy the special release of two of our S3 Super Sour Series Berliner Weiss beers. Each sour will be dry hopped with a different single hop, allowing you to fully experience the aroma and flavor of each hop. 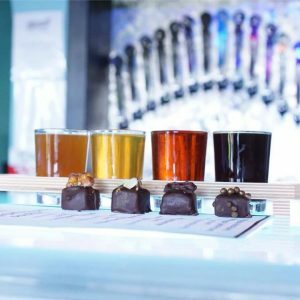 Join us for a special anniversary beer pairing with Andrea's Truffles from 1:00 to 3:00 p.m. Each truffle will be paired with one of our unique, small batch beers, including some of our special Anniversary releases. Join us on Monday, April 22 to celebrate the 20th anniversary of the Chandra X-Ray Observatory. Our guests will share the beauty of space and give insight to what the Chandra X-Ray Observatory has taught us over the last two decades. We will also keep you up-to-date on the latest black hole news! 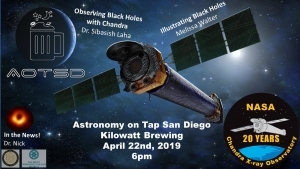 See you at Kilowatt Brewing in Kearny Mesa.